Choose from a full range of sewing machine bulbs - all different shapes and sizes are available for Brother Domestic Sewing Machines. Replacement Bulb for PE100/150/180D/190D/200/300S/400D embroidery machines. 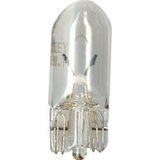 Replacement Bulb for Galaxie 2000, 2100, 3000 range. 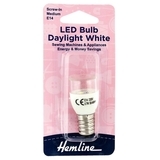 LED Screw-In Light White for Brother by Hemline. LED 15mm Screw-In fitted..